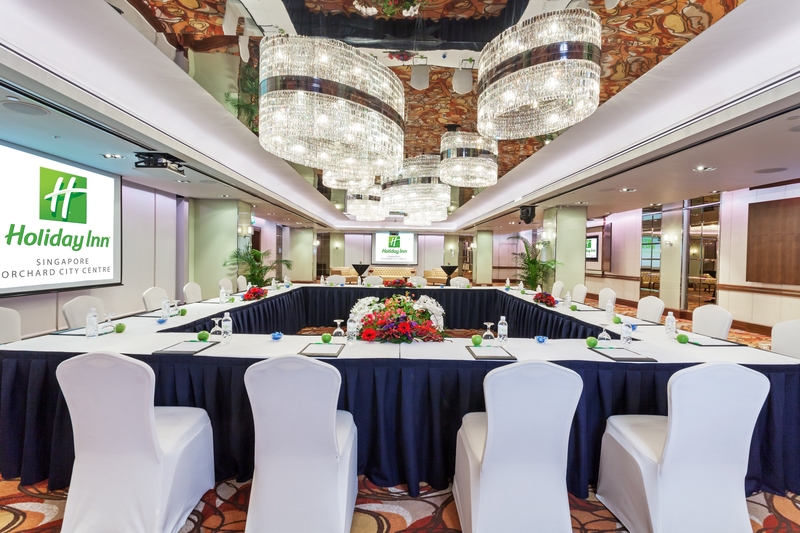 Boasting flexible meeting room configurations, intelligent mood lighting systems and live feed capabilities, our state-of-the-art meeting rooms and event spaces is ideal for small to large scale ones accommodating up to 380 guests. Show your appreciation to your business associates and team members by holding your meeting or incentive in our upscale hotel located in the heart of the city where the needs of your guests will be anticipated at every turn and met with exceptional service. 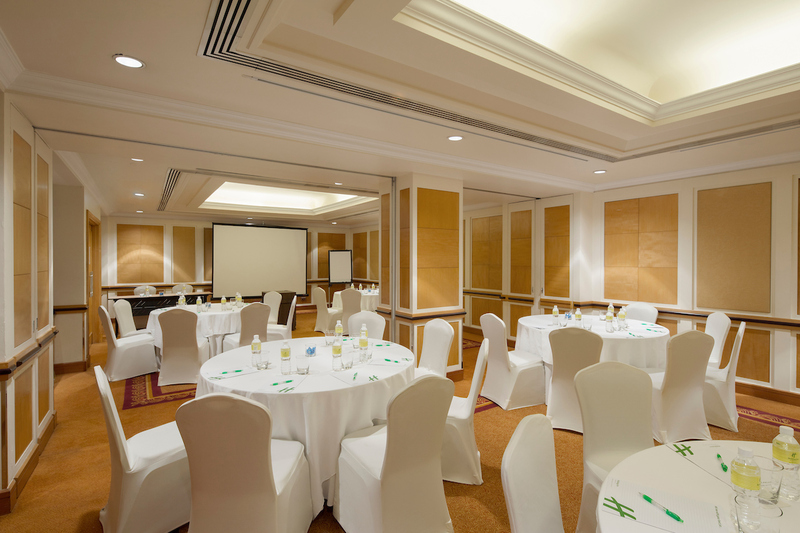 For a hassle free experience, Holiday Inn® Singapore Orchard City Centre's dedicated meeting and incentive planners will be your partner in creating productive meetings and rewarding incentive events. 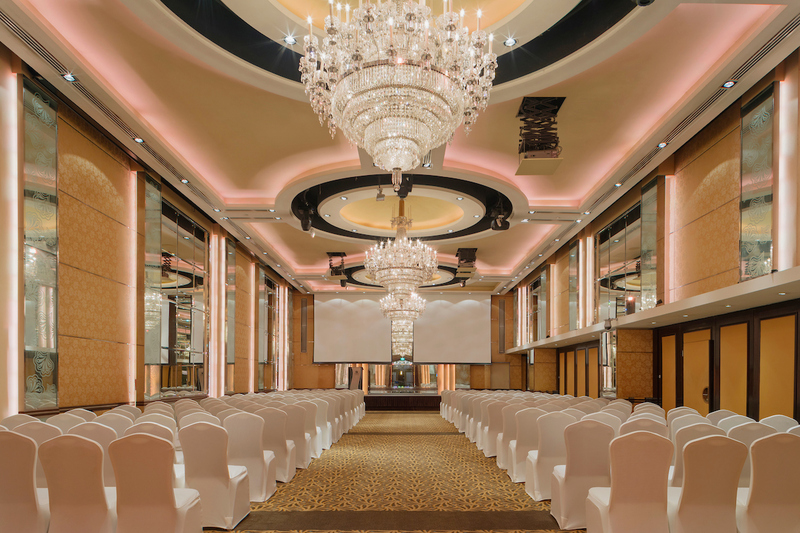 From glittering chandeliers to adjustable lighting systems evoking different moods, the Crystal Ballroom is the largest function space that can accommodate up to 380 meeting delegates. It also has the capability of being divided into three suites – Crystal, Jasmine and Oleander which can be used for breakout sessions. Alternatively, link up with the Orchid Ballroom and Maharajah Suite through the live feed system to run a convention of up to 650 delegates. 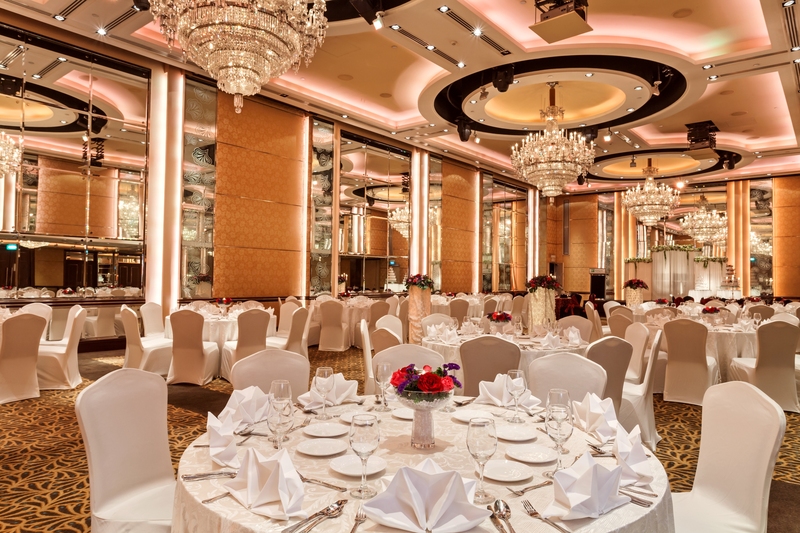 Paying homage to Singapore’s national flower, the Orchid Ballroom is the second largest function space, Orchid Ballroom can accommodate up to 220 delegates. This ballroom can also be interlinked with the Crystal Ballroom and Maharajah Suite through the live feed system for organisers intending to have a large scale convention. With direct access to Tandoor, Singapore’s most awarded Indian restaurant, feel like royalty in this choice venue for private dining where chefs serve up authentic North Indian cuisine. This suite can also be interlinked with the Crystal Ballroom and Orchid Ballroom through the live feed system for organisers intending to have a large scale convention. Named after Major General William Orfeur Cavenagh, the last India-appointed Governor of the Straits Settlements who had the Cavenagh Bridge dedicated in his honour, this function room which gives a nod to the Cavenagh Road that the hotel is on can seat up to 60 guests for a private dining or social event, or divided into two individual rooms that can accommodate 8 guests with a boardroom or U-Shaped setup, or up to 30 for a banquet setup. With a significant gesture to Clemenceau Avenue which the hotel is located in close proximity to, this function room is named after Georges Clemenceau, a twice premier of France who visited Singapore in the 1920s. This function room can seat 24 to 60 guests for a private dining or social event, or divided into two individual rooms that can accommodate 8 guests with a boardroom or U-Shaped setup, or up to 30 for a banquet setup. 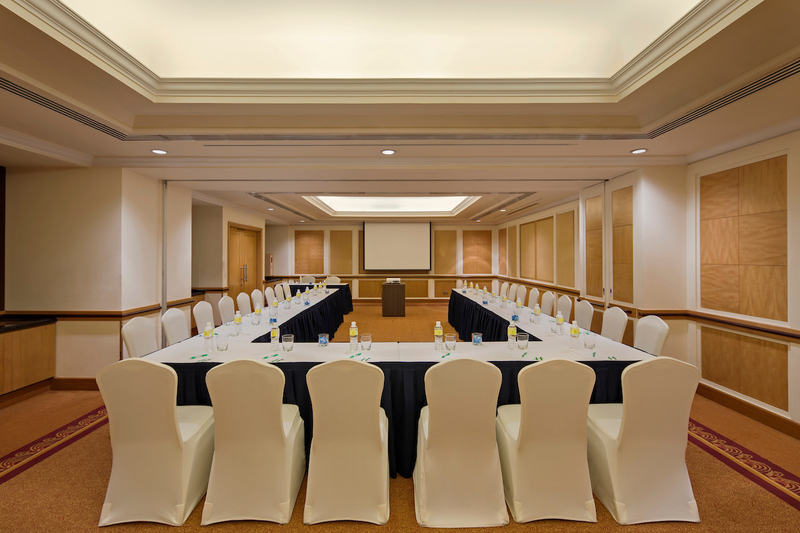 Entrust your next meeting in Singapore to our team of experienced meeting planners and meet for free with a minimum booking of 10 guestrooms from only S$250++ per room, per night in the heart of Orchard Road. Celebrate baby showers and birthdays with exceptional indulgence and make it a treasured occasion to remember. Book by 30 June 2019 to enjoy free flow beer & wine for celebrations held by 31 October 2019. Enquire Now! Opt in: I consent to receiving Holiday Inn® Singapore Orchard City Centre's MICE E-Newsletters, EDMs, offers & promotions.